We'll wind our way through beautiful rolling wooded countryside west of Boston, with views of the Sudbury and Assabet River plains. 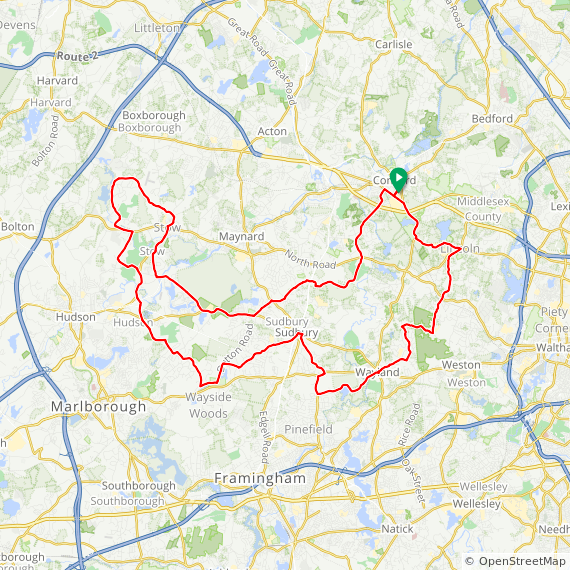 All rides pass through Concord, Sudbury, Wayland, and Lincoln; the 49-mile ride includes Stow and Hudson and a few hills. 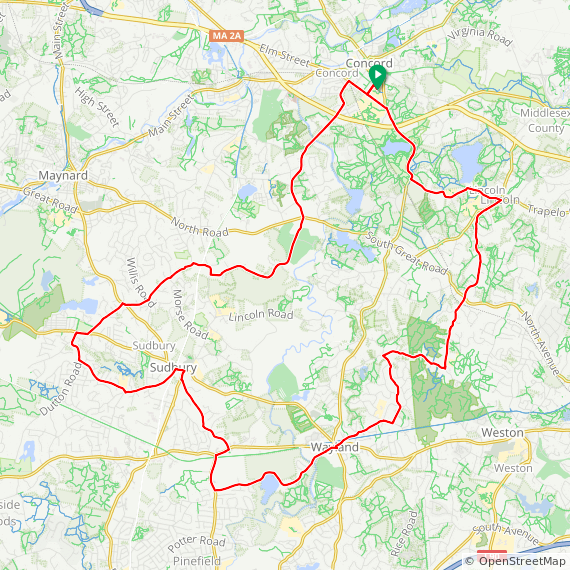 There is a scenic 64-mile option that adds Boxborough, Acton, and a few more hills. The ride is on! Rain is forecast to hold off until after 12PM. This is NOT an arrowed ride so please consider printing your own cue sheet if you need one.